Open to students who have completed Grades 6, 7, or 8. Contact Toby Mattern to register. Middle Schoolers at Mentor UMC look forward each year to Middle School Mission Week— a boredom zapper, community service, crazy fun and games, global fundraising, making new friends and learning about Jesus kind of week all rolled into one! Medwish or Greater Cleveland Food Bank We will break into two groups. 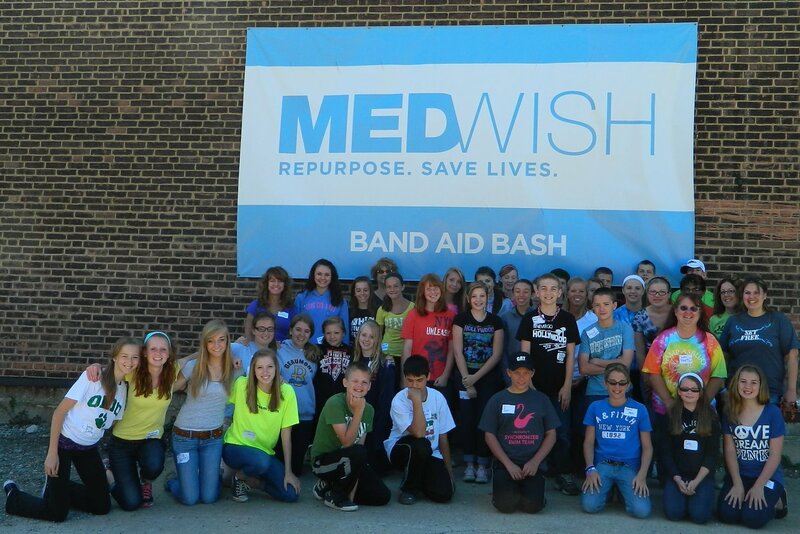 Participants must be 13 or older to go to Medwish. At Medwish we will check expiration dates and sort donated medical items. At the Food Bank we will sort and repack non-perishable food. Car Wash Fundraiser to raise money for scholarships for kids we sponsor in Liberia. See more information below. Friday is a fun day at Fun ‘n’ Stuff! their tuition, and fees increase. always receive such grateful letters from our Liberia students. Junior Leaders and Adult Drivers are needed! To be a Junior Leader, you must have at least completed the 9th grade and be 15 years old. You will be working with adults to help facilitate the activities, and we will place you where we need you. Limited positions available, and subject to approval. When registration is posted, please register online as a student and you will be contacted by a member of the MSMW team and upon approval, given a Junior Leader Covenant to sign. Please note that Junior Leaders are asked to be present for the whole mission day in order to assist the team. We have a great need for Adult Drivers! More information will be coming soon, but if you know you can help, or have questions, please contact Becky Suran or Toby Mattern. Questions? Contact Becky Suran (440) 668-1753 or Toby Mattern (440) 255-3496 ext. 114 or tmattern@mentorumc.org by email.